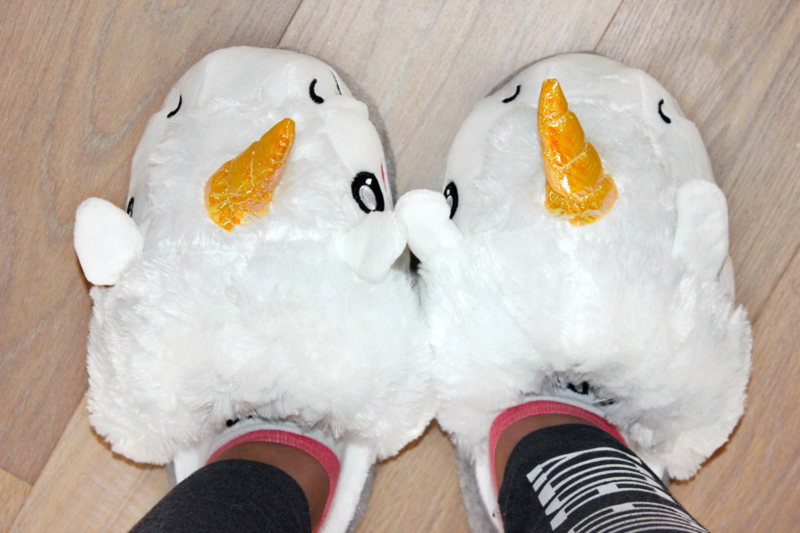 If you’re new to my blog, you probably aren’t familiar with my unicorn obsession. 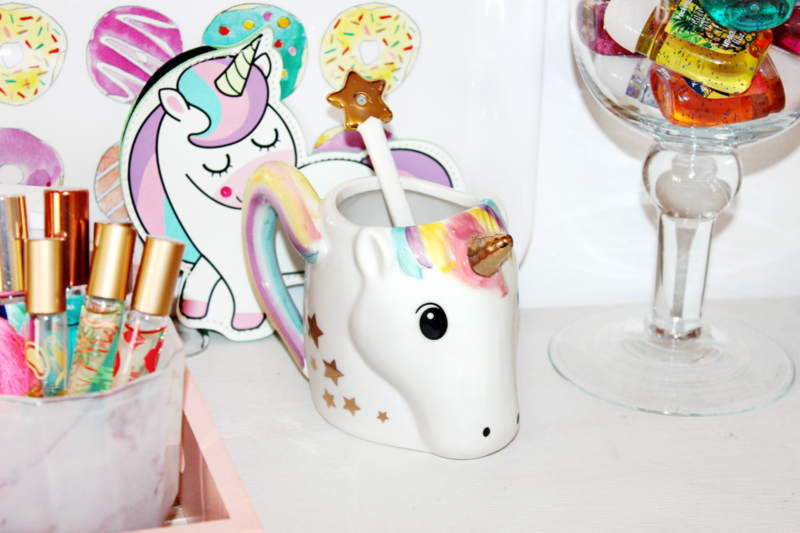 So hi, my name is Eline and I’m addicted to anything unicorn-themed. A lot of people are sick and tired of the unicorn theme that’s been going on more recently, but I’m all for it! Tons of makeup and lifestyle brands have been releasing those dreamy unicorn-inspired collections, and I for one am a huge fan of it! When Coolgift contacted me asking if I wanted to try out some of their products, I was a bit skeptical at first. But then I took a thorough look at their website and spotted their unicorn gift ideas, as well as cat toys and I was sold! I went for three gifts, perfect for any unicorn obsessed peeps just like me, or any cat-lover out there. Coolgift specialises in the sale of quality gadgets. What started as a hobby for Jurgen has since grown into a complete team in and around the company. 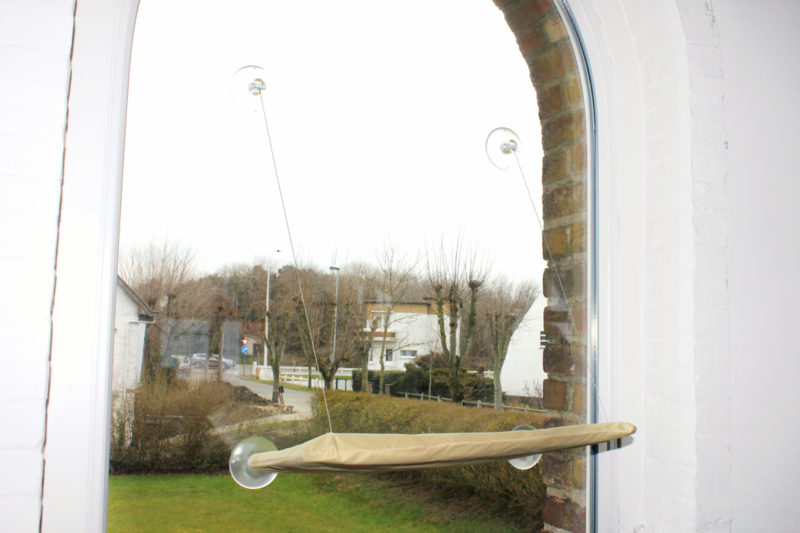 Every day we are on the lookout for the newest and coolest gifts. 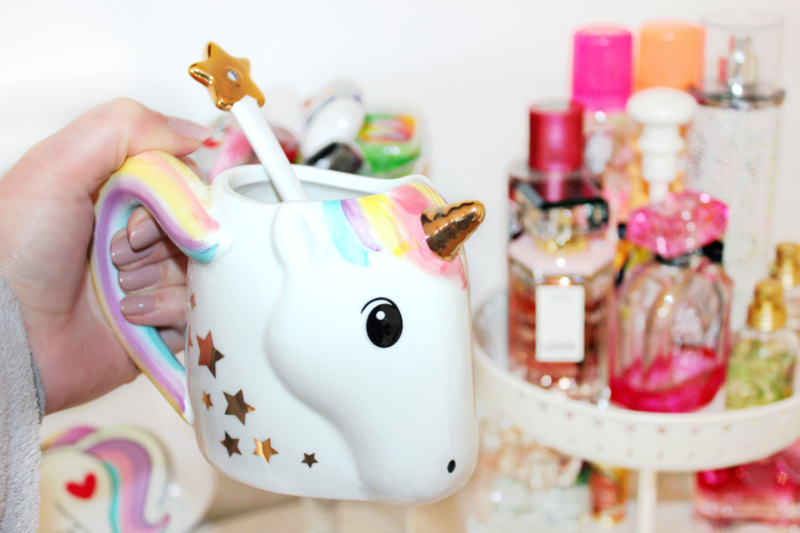 This STUNNING unicorn mug was the first item that caught my attention on their website! I have to admit, I’m never going to actually use this mug to drink out off, but I’m definitely using it for decor purposes. This mug looks so magical on my dresser, it really ties everything in nicely. I’ll probably use it to store either lipglosses or my perfume roller balls, which it fits perfectly! The rainbow stripes look as if someone painted them on by hand and combined with the beautiful gold details, it’s just wonderful. In all honesty, this gadget sounded way cooler than it actually is. 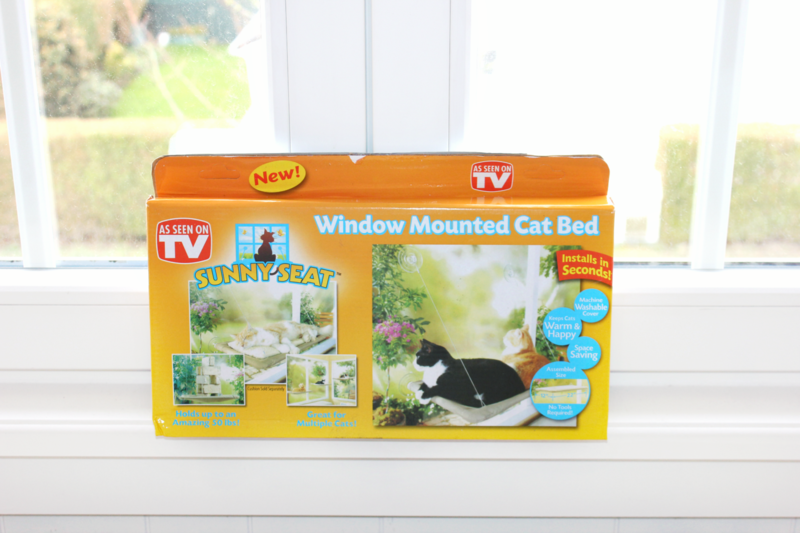 This is a cat bed you’re supposed to stick to your windows and claims to hold 50 lbs. First of all, it wasn’t the easiest to assemble, but once I did I immediately noticed it would never hold my cat. You see, my cat isn’t the skinniest ever (7,5 kg), and there is no way in hell this thing is going to hold his weight. I tried it with a heavy item first, and it fell down within minutes. So even though this sounded very cool, I wouldn’t necessarily recommend it if you’re cat is a little bit on the heavier side. I was just way too scared to actually put him in there and hurt him. 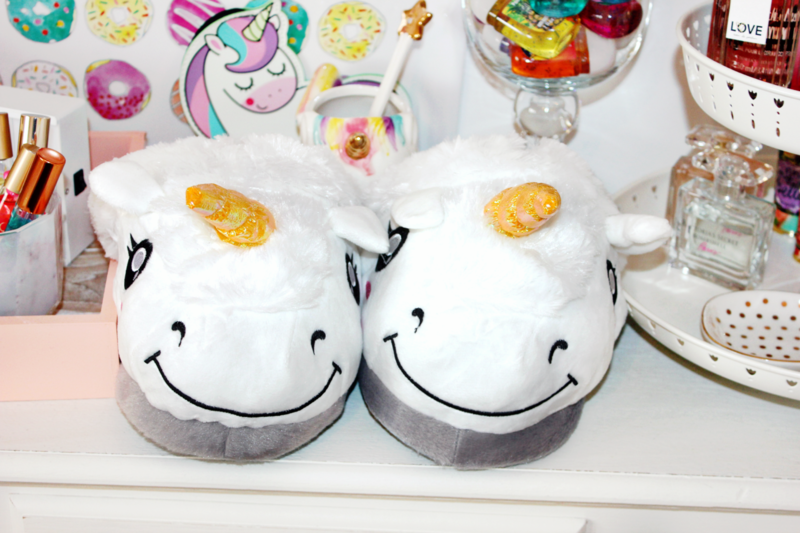 These unicorn slippers are so big & fluffy, I love them!! They’re a bit difficult to walk in, but they look so funny on my feet and they keep my feet very warm during the colder months. Don’t you just love how they also smile?? 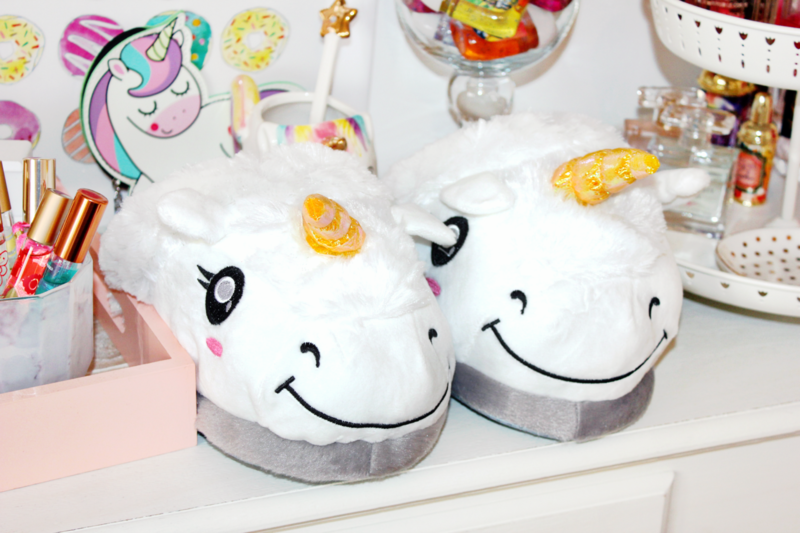 It just makes me feel so happy inside every time I look at these and I’m sure a ton of people would find these slippers to be so much fun! All three of these gadgets are available exclusively on the Cool Gifts website, which has a ton of other cool gadgets & gift ideas, for women as well as men. I do have to admit some of their prices are a bit up there, but the products are sooooo cool! You could definitely find something on there to make anyone a happy person! Also, their shipping is so on point. After I received the confirmation email, my package arrived at my doorstep the next day!